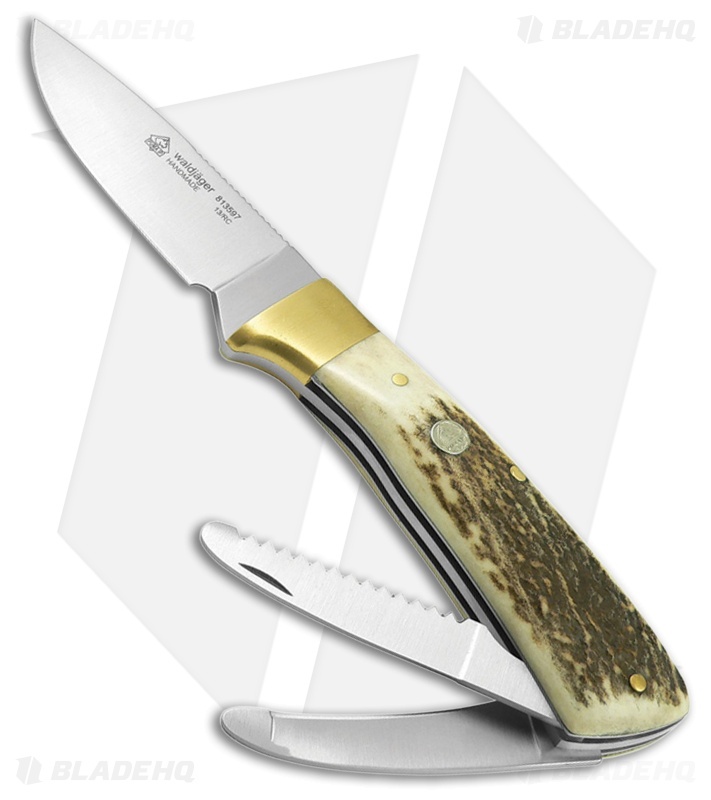 The Waldjäger (Forest Hunter) by Puma Knives is a one tool answer for any avid hunter. Made of 1.4109 stainless steel, the 3.5" blade is capable of processing small to even large game. Genuine stag bolsters are paired with a solid brass bolster for a traditional and rustic look. Integrated into the handle are a stainless steel bone saw and blunt tip gut knife. All carried on your hip in an attractive brown leather sheath.